Saving You Time, Hassle and Money! We are your shipping specialist with fantastic partnerships with Domestic and global carrier brands. We negotiate discounts and pass these on to our customers. We provide easy to use booking solutions, consolidate your invoices and answer your questions in a timely manner. SV InXpress has shipping solutions for Import & Export, small parcel, air and ocean freight services through world class carriers you know and trust. Get a quote and start saving on your shipment today. At SV InXpress we use our extensive knowledge to find you the right service, at the right price. 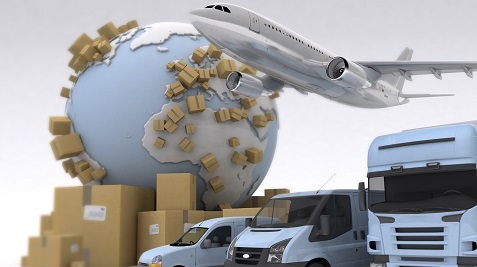 We provide the tools to help you book and track shipments, and consolidate your invoicing. Our process could not be simpler. You have parcels, packages, boxes or freight you need to move. SV InXpress has the knowledge, expertise and carrier partnerships to find the right solution at the discounted price for your business. We are your shipping specialists here to answer all of your questions in a timely manner. You simply book your shipments through our easy to use solutions and the carriers collect and deliver your shipments. We are with you every step of the way to resolve any issues with the carriers or billing. We take steps to ensure your shipments arrive at their end destination as expected. We simplify your billing by consolidating all carriers on one invoice. Saving your A.P. team time, hassle and Money!